We will keep the stage features in secret, but it will be a short stage, with an extensive climb and its consequent descent, ideal to burn all the energy that can still be in you. 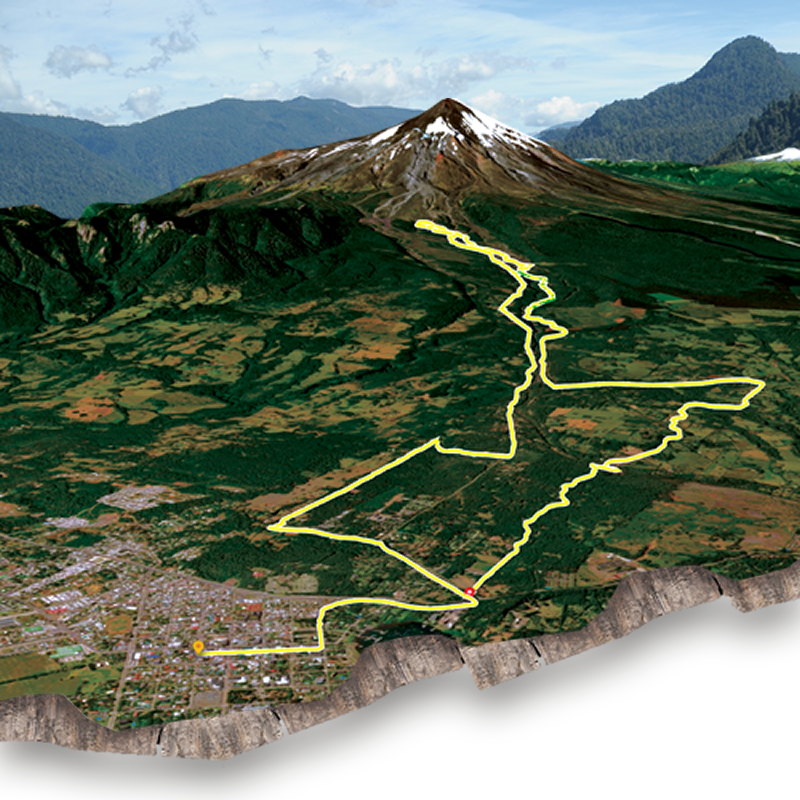 Shortly after starting will begin the ascent, 15 kilometers of steady rise, by wide roads, but there is no rest. After that, by singletracks, you will return to the starting point always in descent, a route where volcanic sand, vegetal earth and passes with some stones will be mixed. Pucón: Pucón is the major centre of adventure tourism in Chile, its population of 22,000 quadruples in the summer due to traveler volume. Its main attractions are the beach at Villarrica Lake and the majestic Villarrica Volcano. It also features national parks and an endless array of activities that include adventure sports, water sports, recreation centers, restaurants, casino and vibrant nightlife. This final campsite is in the Pucón Eco Parque, 3 kilometers from downtown. The final stage of the race and closing celebration will take place here.